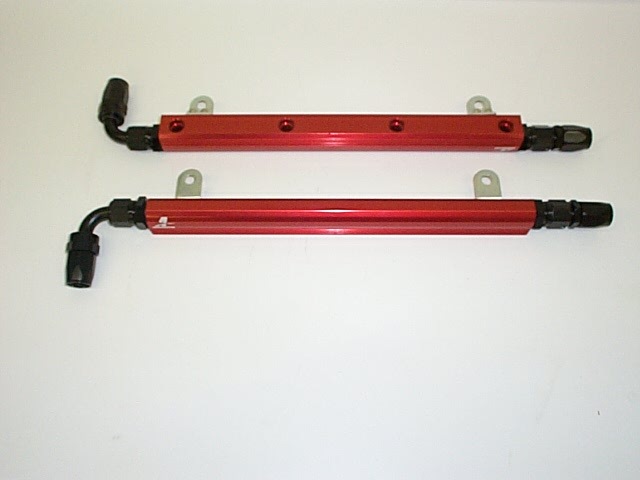 Aeromotive billet aluminum fuel rails for our 5.4 liter engine. The rails have AN8 fittings on each end. 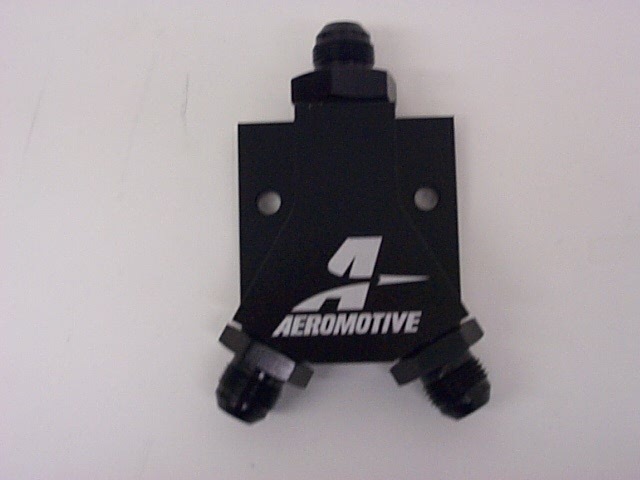 Aeromotive Y block. The Y block has AN8 fittings going in and out. The Y block will be used to distribute the fuel going into the two fuel rails. 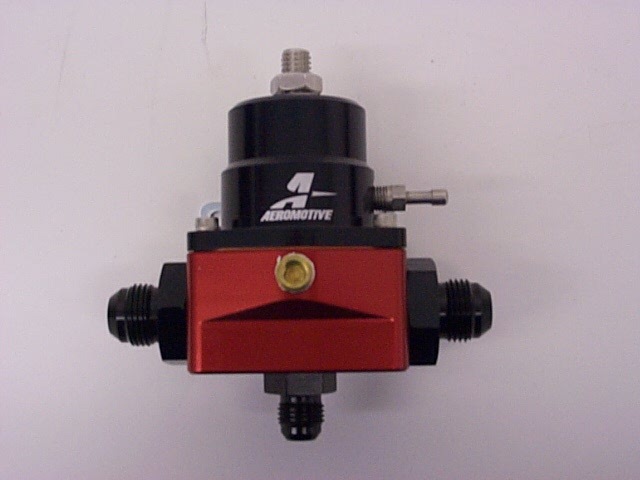 Aeromotive fuel pressure regulator. This is a return style regulator. It has two AN8 fittings going in which are connected to the out flow side of the two fuel rails. At the bottom of the fuel regulator is an AN6 fitting which will connect to the return fuel line that goes back to the fuel cell. 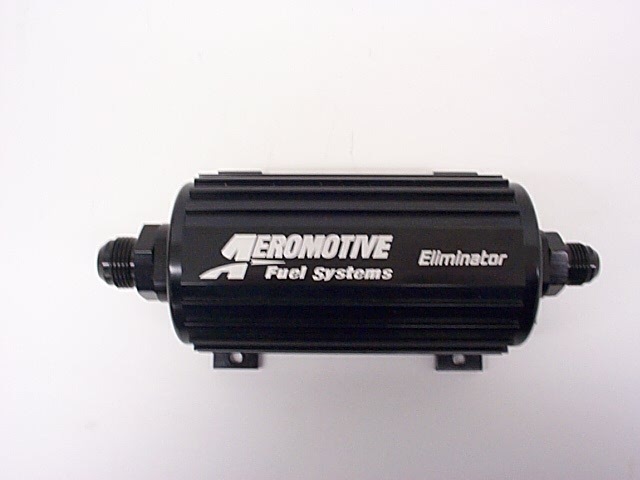 Aeromotive Eliminator fuel pump. It has AN12 fittings going in and out. Part number 11104. 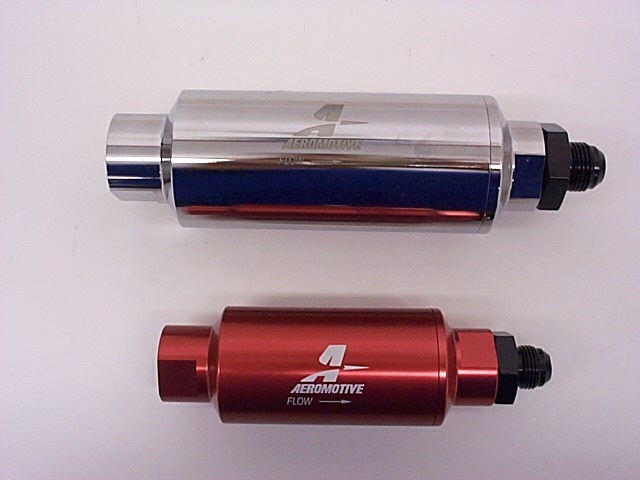 Aeromotive fuel filters. The polished aluminum fuel filter (PN 12302) goes between the fuel cell and the inlet side of the fuel pump. This is a 100 micron fuel filter. 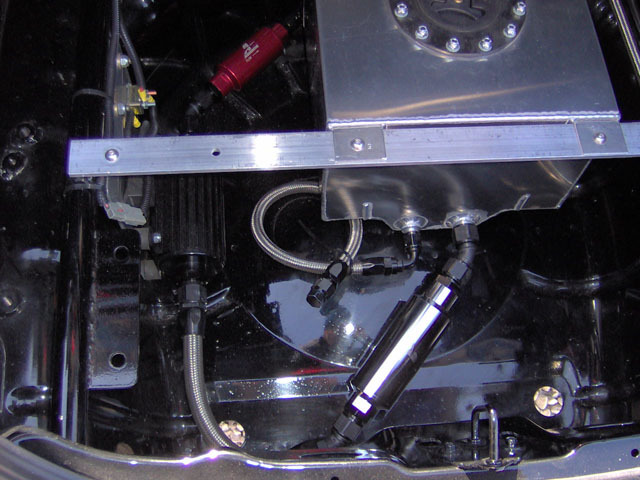 The red anodized fuel filter (PN 12301) connects to the output side of the fuel pump. It has an AN10 to AN8 reducer on the output side to connect to the AN8 fuel line that will run up to the engine. This is a 10 micron fuel filter. AN8 main fuel line and AN6 return line. 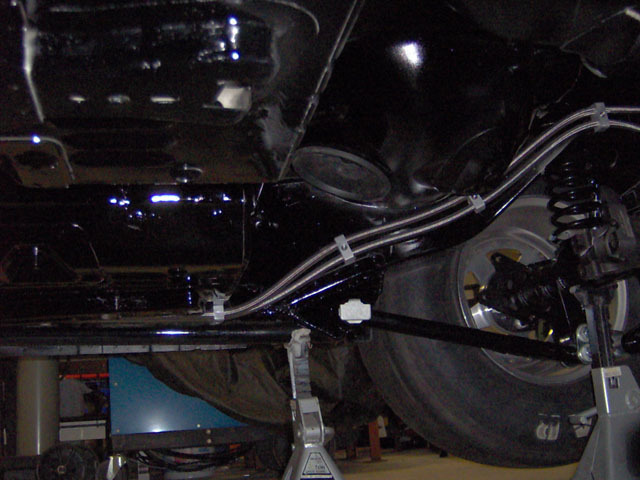 Fuel lines are fastened to body with Fluid Line Clamps manufactured by Wydendorf Machine. Pump and filters plumbed and mounted in trunk.